When purchasing Yale cable pullers you can be assured of quality products. Part of the Columbus McKinnon Corporation the Yale brand has many years of tried and tested lifting equipment with many innovative products. 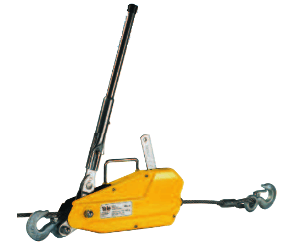 The range of Yale cable pullers available from Lifting Hoists Direct include the popular Yaletrac system. The Yaletrac is light in weight due to it being made from aluminium and so is easy to carry around. The Yaletrac cable puller also comes in a steel version – The ST model, which has been purposefully designed with the mining industry in mind. Each version incorporates 3 models with working load limits of 800kg, 1600kg & 3200kg, meaning there is a model for even the most arduous tasks. 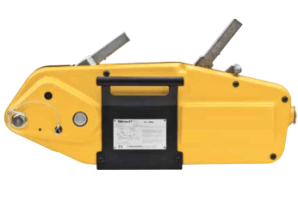 Alongside the Yaletrac we can offer the LP cable puller with a low weight of just 4kg without the rope and capacities of 500kg the LP is perfect for workshop applications. The LM cable puller has pulling forces of up to 900 daN and is corrosion resistant. This aluminium cable puller may be used in a double fall configuration and is for pulling and tensioning tasks – NOT lifting & lowering. 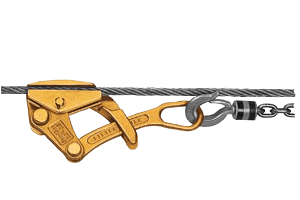 As well as the standard variety of cable pullers Yale also have the LMG little mule cable grips for pulling and tensioning un-sheathed wire rope, it has pulling forces up to 5000daN. daN is a common measurement of force often used in engineering, as a guide – 1 daN (dekanewton) = 10 n (newtons) or 1.019716 kgs (kilograms) of force. As you can see the daN is very close to the kg and so is usually just substituted in lifting and engineering applications. 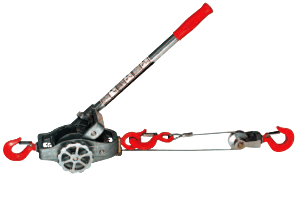 Yale’s wire rope cable pullers are easy to maintain and spare parts are readily available should they be required. 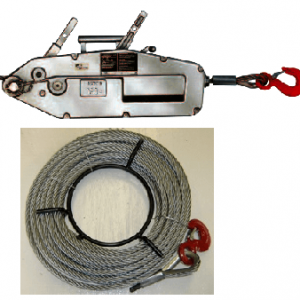 Lifting Hoists Direct can supply any length of wire rope to go with your choice of cable puller, a range of end fittings can be fitted along with fuse and tapered ends. Take a look at our range of Yale wire rope/cable pullers then give our sales team a call, they are always ready to offer help and advice and of course a most competitive quote.